Israeli and American representatives were conspicuously absent from the UN Human Rights Council session on the Palestinian territories on Monday. The session aimed to look into the Gaza conflict which killed 2,200 people in 50 days in 2014. "I note the representative of Israel is not present," Council President Joachim Ruecher said as the session kicked off Monday in Geneva. Tel Aviv refused to comment as to why its representatives did not take part. The US, however, said that one of the points on the UN session agenda – concerning human rights violations against the Palestinians – lacked legitimacy. “Our non-participation in this debate underscores our position that Item 7 lacks legitimacy, as it did last year when we also refrained from speaking. The United States strongly and unequivocally opposes the very existence of Agenda Item 7 and any HRC resolutions that come from it,” Keith Harper, US ambassador to the Council, said in a statement. The Monday session was initially scheduled to discuss the report on the 50-day war in Gaza last year, but the incoming United Nations Human Rights Council’s chairperson, Mary McGowan Davis, said investigators needed more time to finish their report on the conflict, as Israel impeded access to the Gaza Strip and the West Bank. “The commission has done its utmost to obtain access to Israel and the Gaza Strip, as well as the West Bank, including East Jerusalem. We would very much have liked to meet face to face with victims and the authorities in these places,” she said. Davis asked for a delay until June for the commission to complete its report, due to late-breaking testimonies from witnesses and changes in leadership. Mary McGowan Davis – a former New York State Supreme Court Justice – replaced William Schabas, a Canadian international law expert, as the Council's chairperson after Schabas quit last month under Israeli pressure. Israel had doubts about his objectiveness, as he had prepared a legal opinion for the Palestine Liberation Organization while serving as a law professor in 2012. Meanwhile, despite Schabas' resignation, Israel continues to accuse the commission of bias against the Jewish state. Three years ago, Tel Aviv cut all ties with the Council after it began checks on how Jewish settlements in the Palestinian territories could be violating human rights. Relations were partially restored last year. Israel has been severely criticized for its political decisions amid the 2014 war in Gaza, which claimed the lives of more than 2,140 Palestinians – most of them civilians – and over 70 Israelis, most of whom were soldiers. The conflict ended with a truce between Israel and Hamas on August 26. 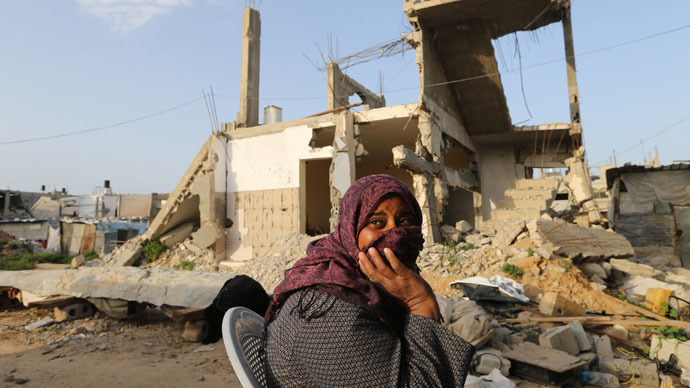 “The ferocity of destruction and high proportion of civilian lives lost in Gaza cast serious doubts over Israel's adherence to international humanitarian law principles of proportionality, distinction and precautions in attack,” Makarim Wibisono, special rapporteur on human rights in the occupied territories, told the Council. Meanwhile, armed Palestinian groups were also accused of impunity against civilians and targeting Israeli civilians to inspire aggression from Tel Aviv. “The actions of Palestinian armed groups in Gaza, including indiscriminate rocket fire into civilian neighborhoods in Israel, firing from densely-populated areas, locating military objects in civilian buildings, and the execution of suspected collaborators, also constitute clear violations of international humanitarian law and human rights law,” Deputy High Commissioner for Human Rights Flavia Pansieri said in remarks published on the UN's website on Monday.